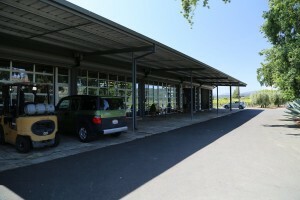 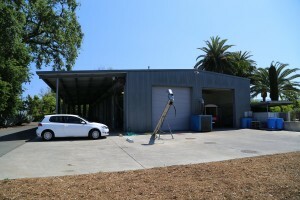 Round Pond Winery opened for tastings by appointment in July 2007. 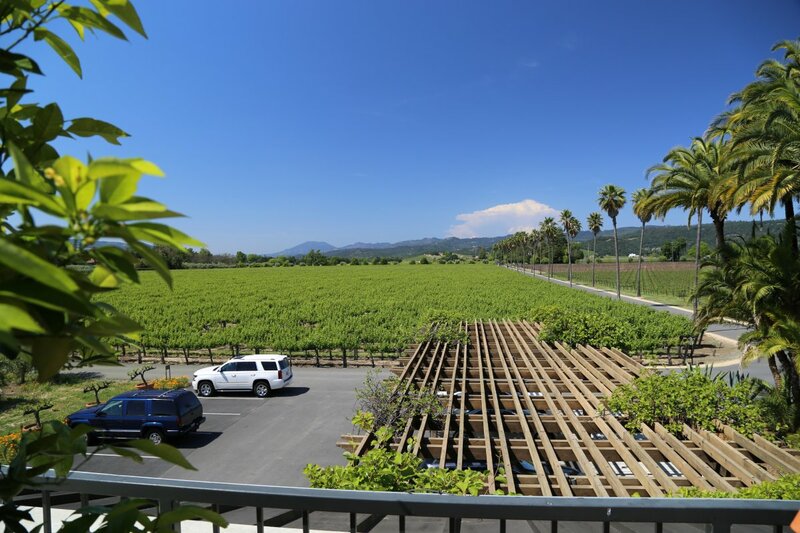 We followed the construction progress on this winery for at least a year visiting during different stages of construction. 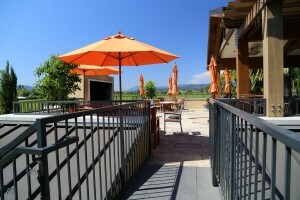 Our initial visit, was on the second day that they were officially open. A bright red antique truck is often parked next to their sign at the entrance to their long driveway. 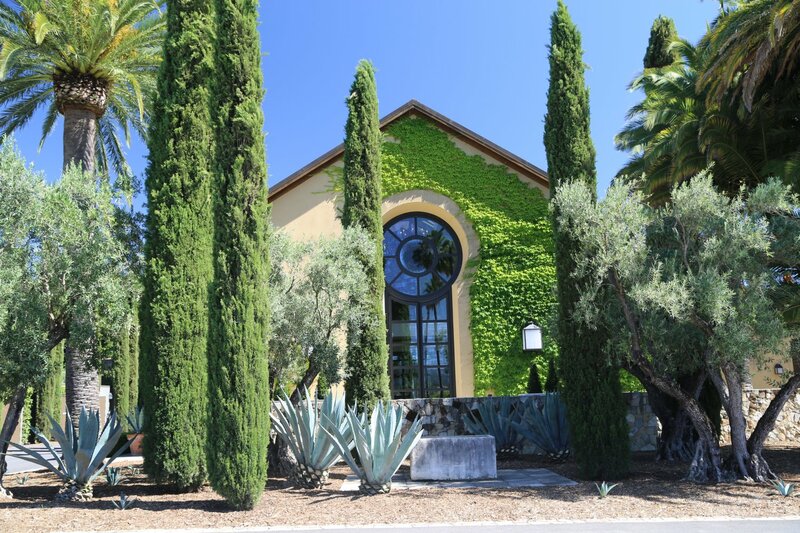 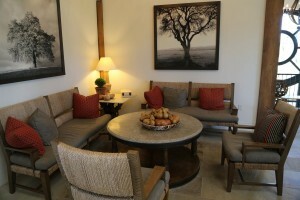 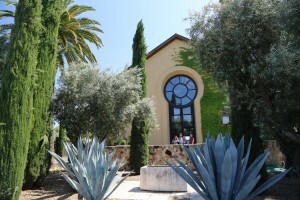 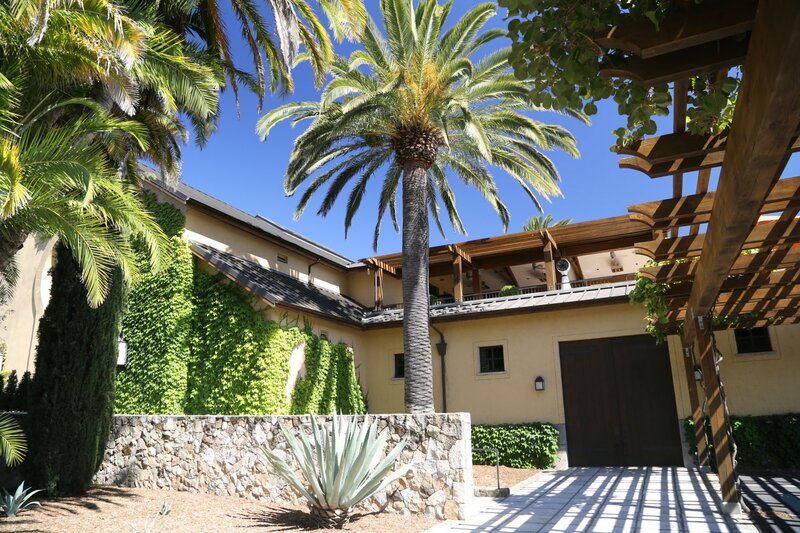 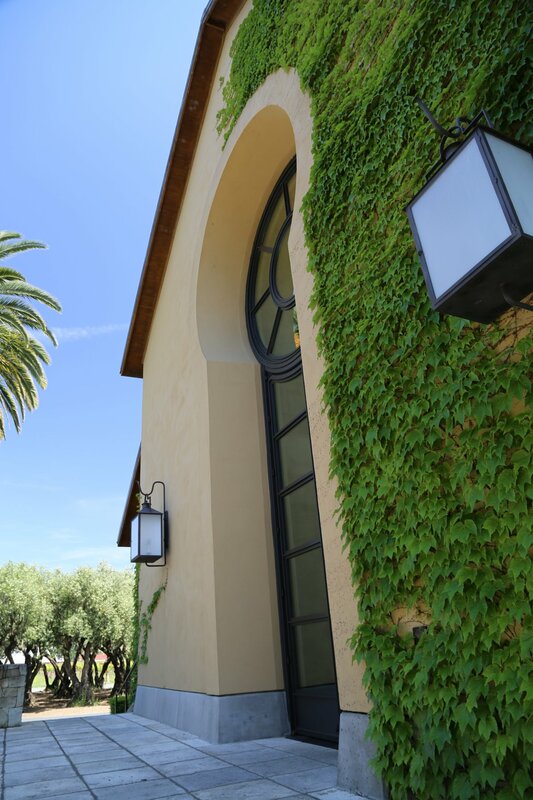 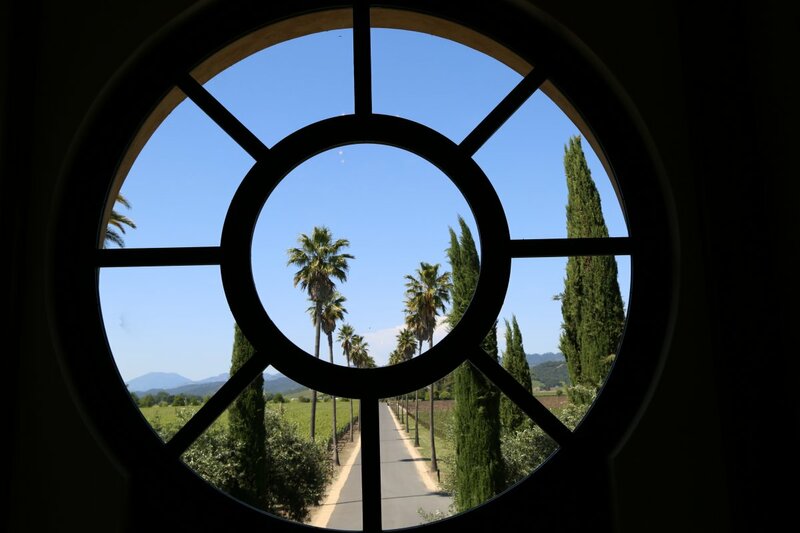 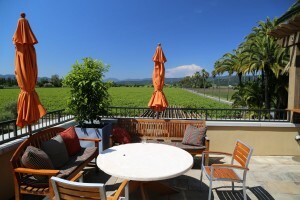 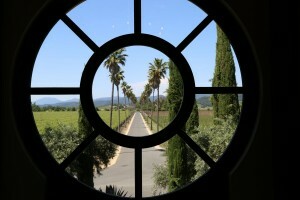 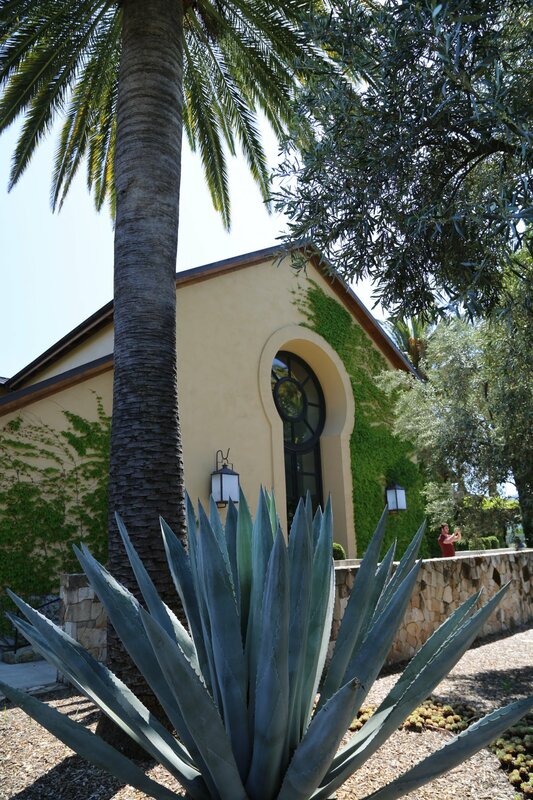 The winery feels “Mediterranean” with its stately palm trees, succulent gardens and olive trees. 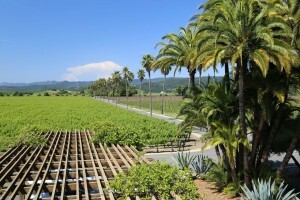 Note the palm trees in front of the winery; these were imported from Riverside California. Due to their massive weight these palms even bent the crane as they were being lowered into the ground. 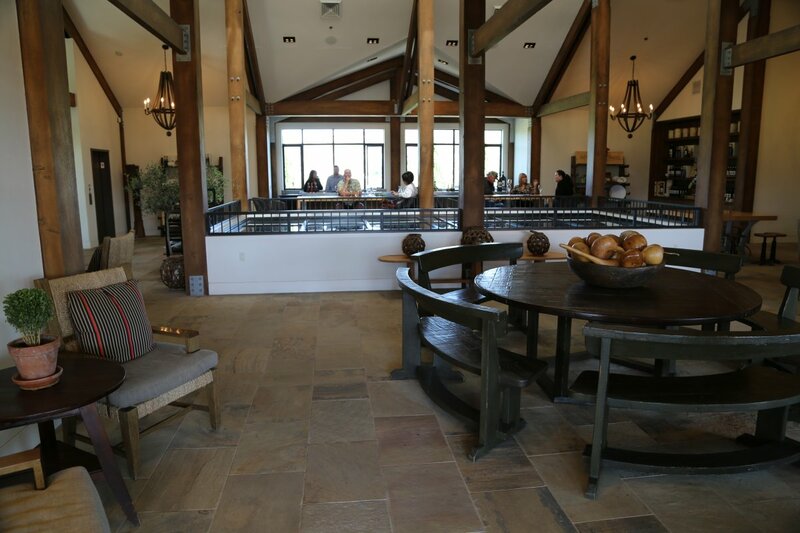 This is an extremely photogenic estate and property and significant thought and care went into designing both the hospitality center and the winery building. 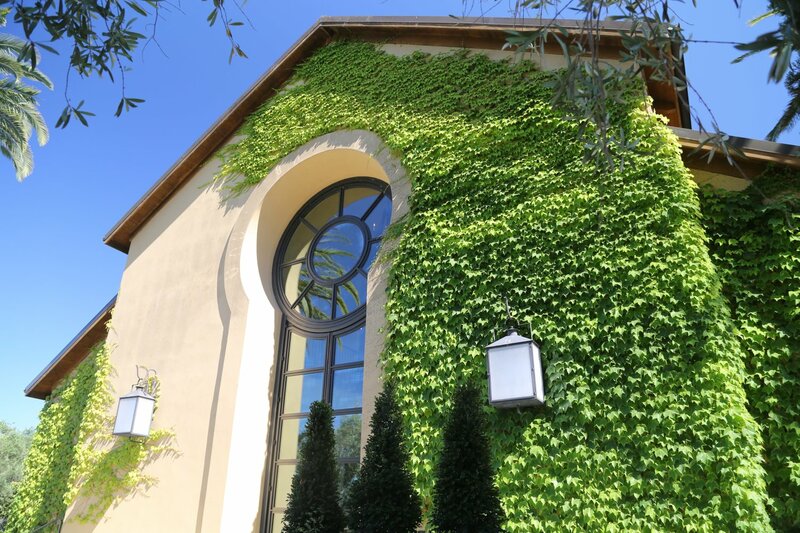 The estate is 460+ contiguous acres, much of which is planted with grapes; in the summer one views a sea of green leaves in all directions from their outdoor terrace on the second floor. 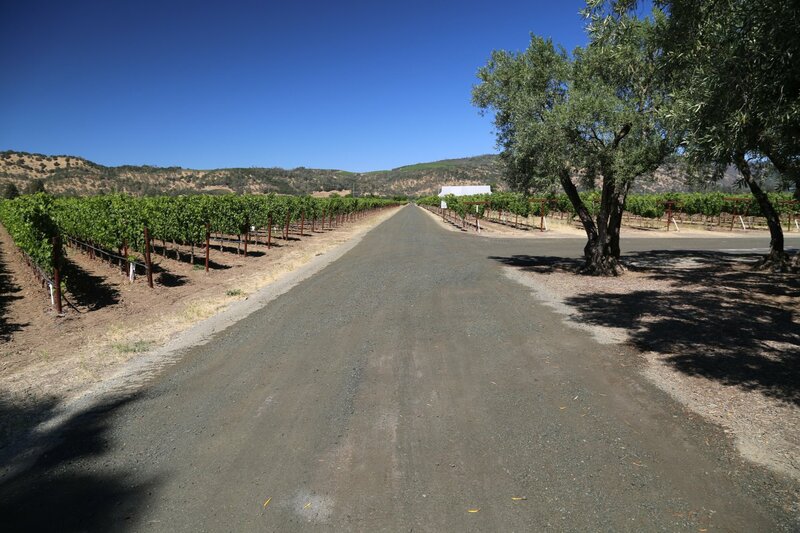 Round Pond was originally founded by Bob and Jan MacDonnell in 1983 when the couple purchased their first property in Rutherford – 28.5 acres. The name “round pond” comes from Bob’s memories of a round pond in New York where he used to camp and fish every summer. 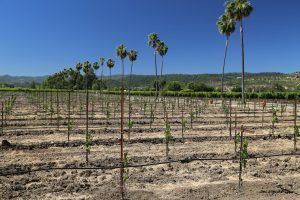 The brother sister team of Miles and Ryan MacDonnell joined the winery after previous careers and today both share the responsibilities of managing the estate. 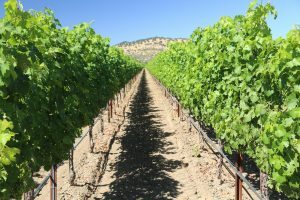 Miles oversees the vineyard operations and wine production while Ryan is responsible for their marking and hospitality programs. 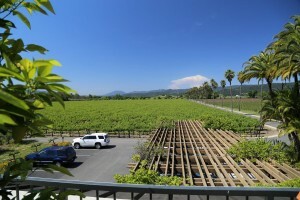 This is one of Rutherford’s larger vineyard properties featuring 360 acres of vineyards, stunning gardens and orchards. The family holds back some of the grapes for their own wines while selling the majority of fruit to area premium producers. 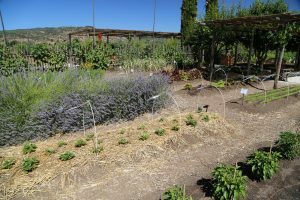 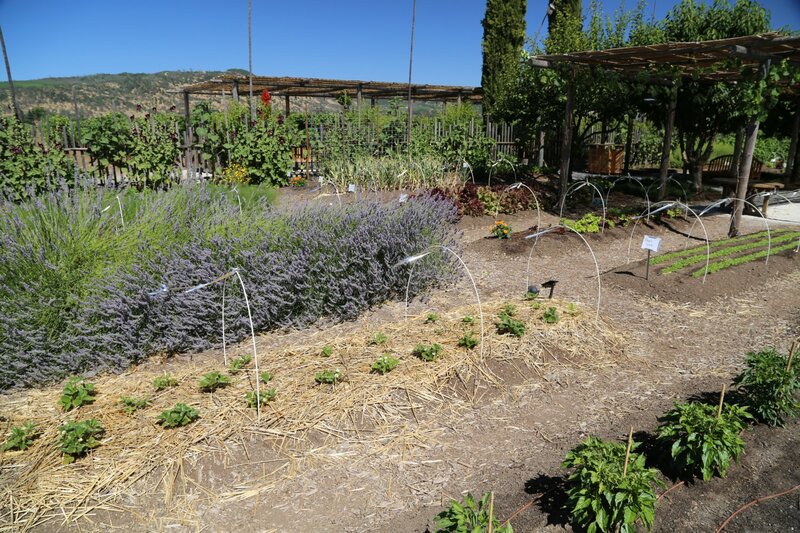 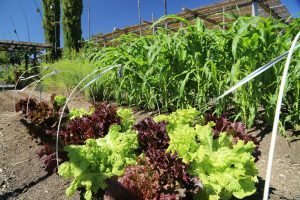 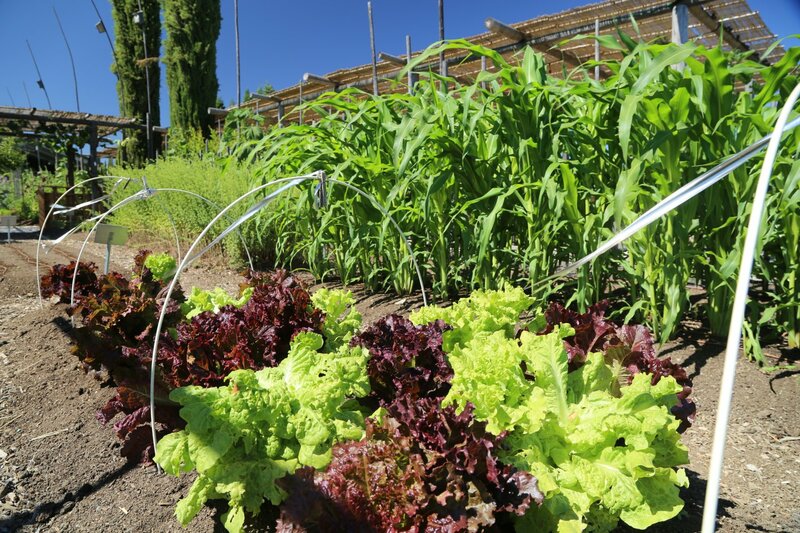 All agriculture crops on the estate are grown either organically or sustainably. 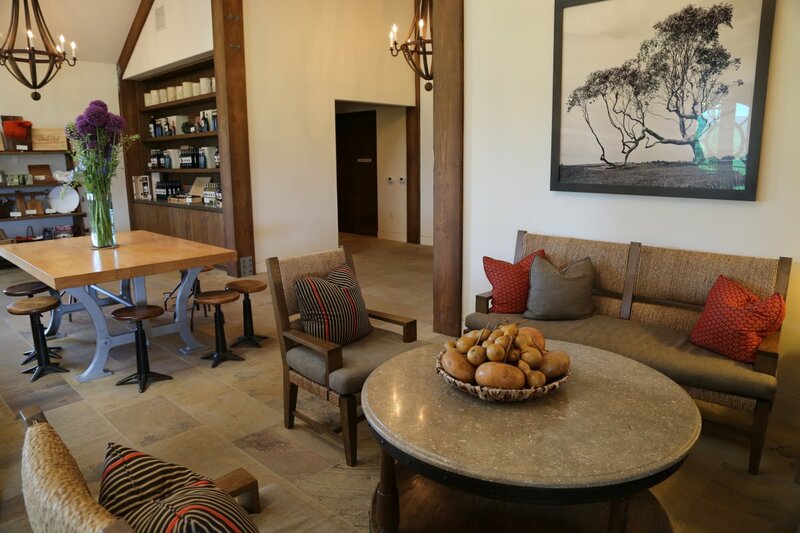 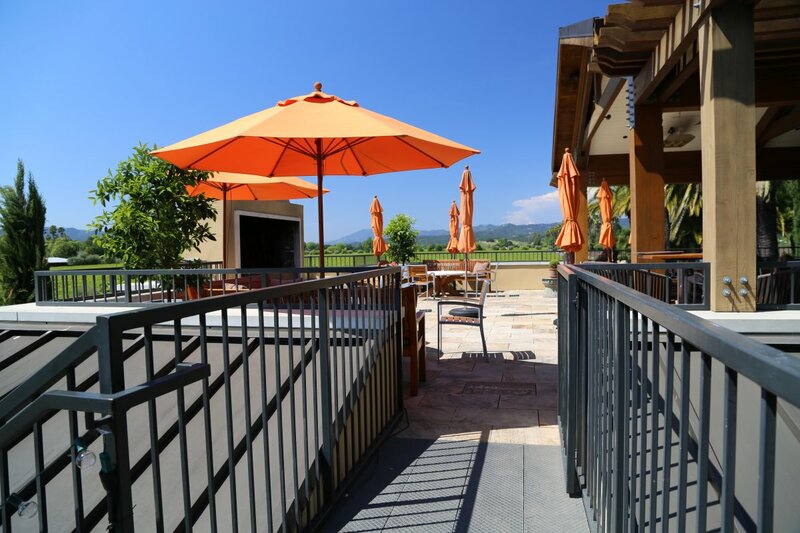 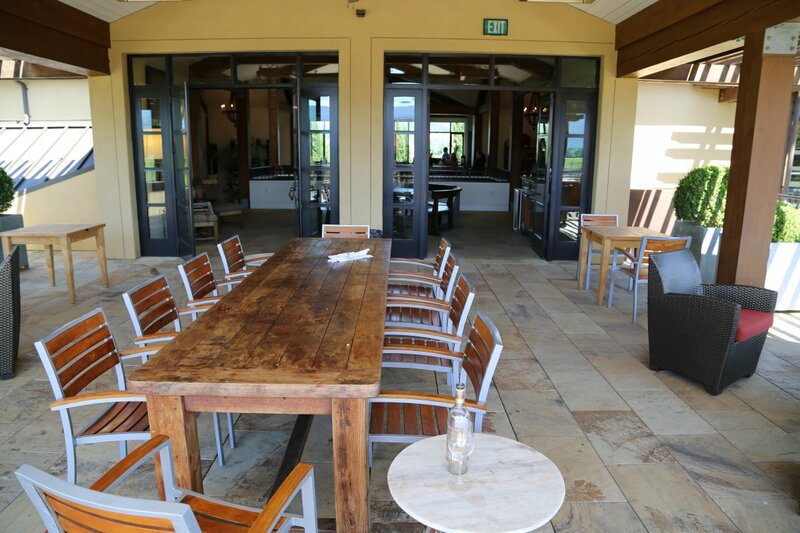 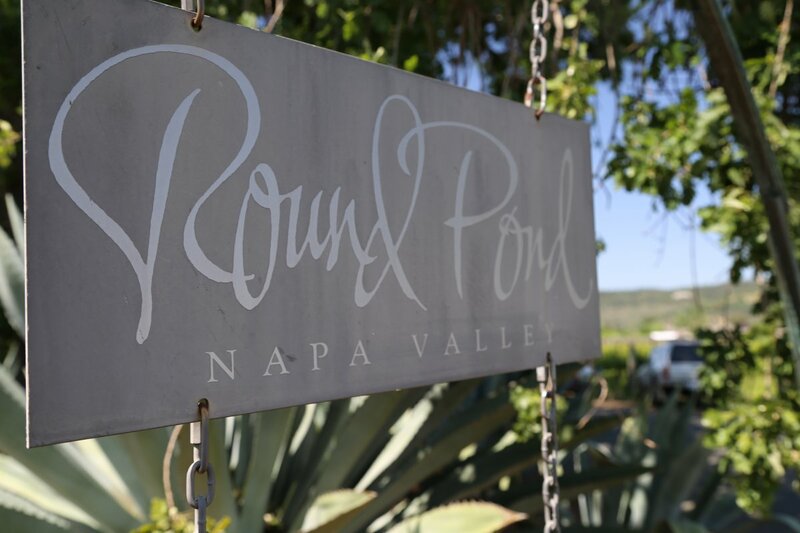 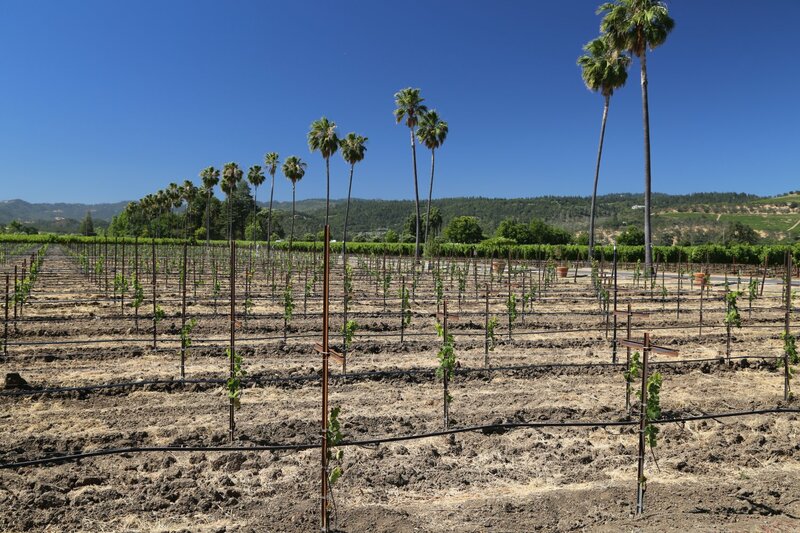 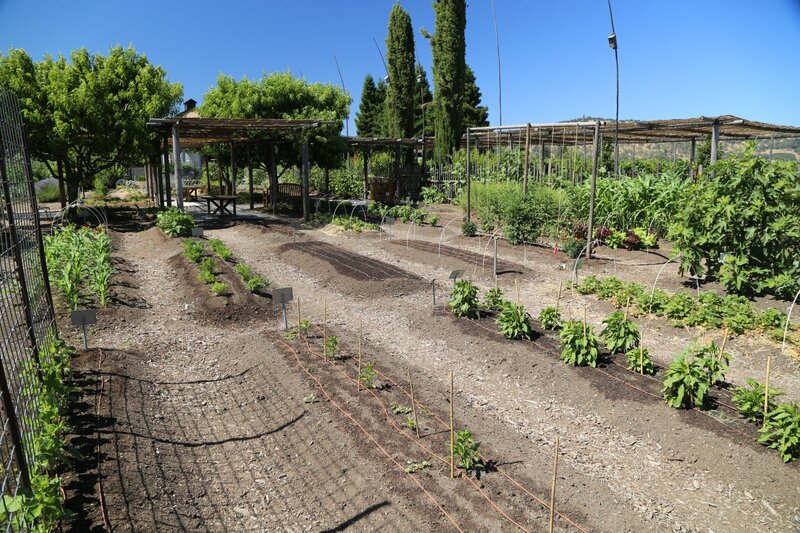 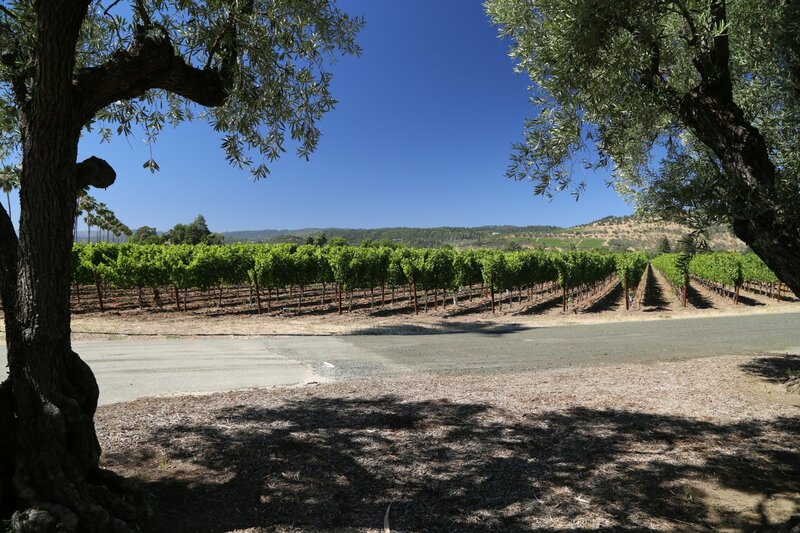 Round Pond offers a diversity of tasting experiences ranging from a quick (30 minute) tasting to more niche tastings lasting approximately an hour focusing either on Cabernet Sauvignon or wines paired with small bites (featuring produce often grown on site). 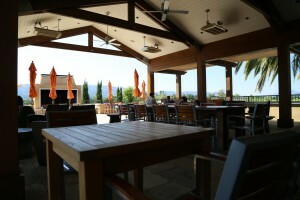 More in depth experiences can be reserved including lunch or brunch. 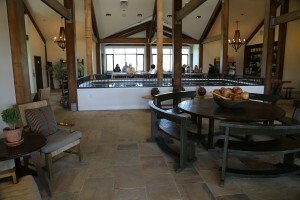 Guests are greeted at the entrance by a concierge and then accompanied up stairs to the tasting spaces. 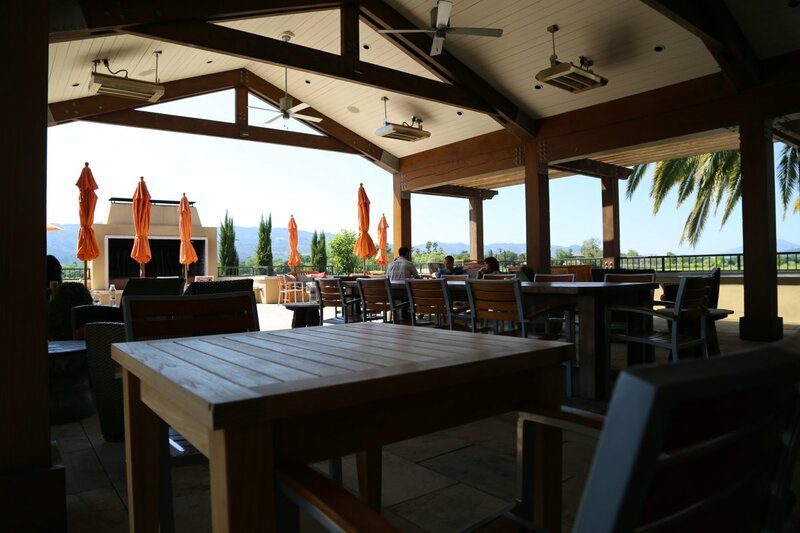 Weather permitting, you will taste on their lovely outdoor patio upstairs. 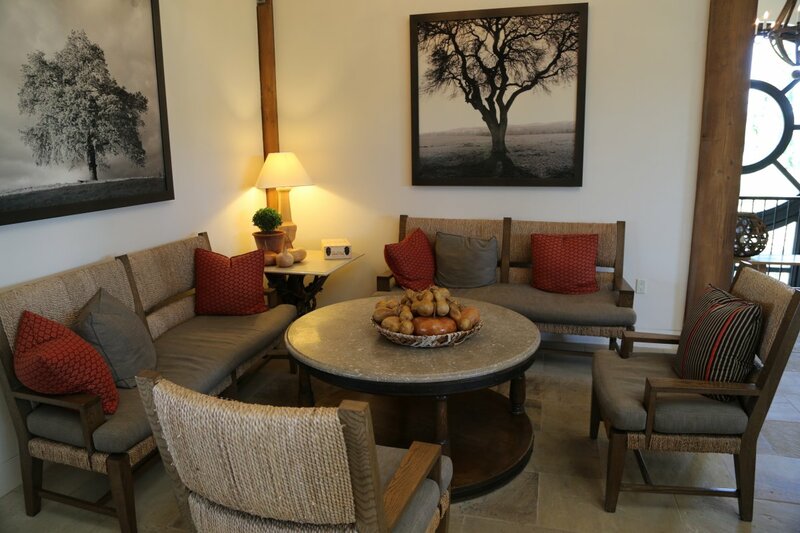 Cushioned chairs provide comfortable seating overlooking stunning views in all directions including Mt. 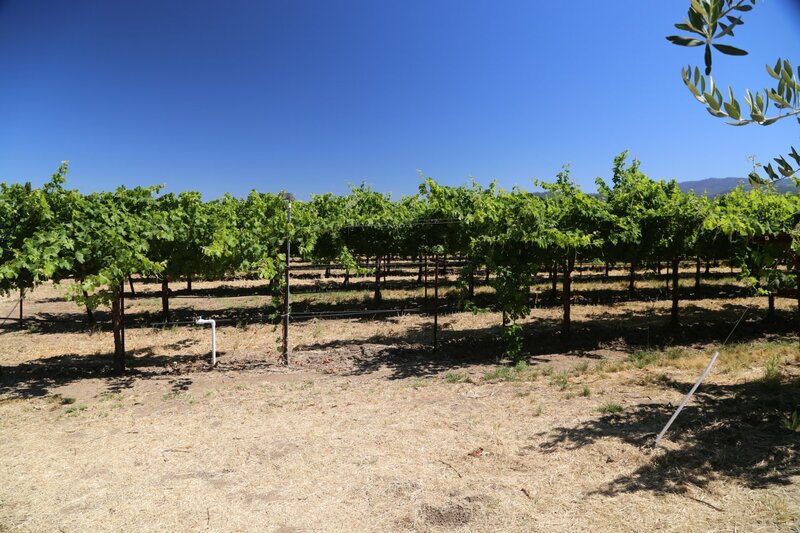 St. Helena to the north. 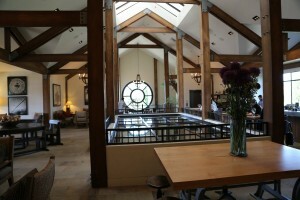 The Zinc Bar, also located upstairs is next to glass windows built into the floor with views down to their barrel room. 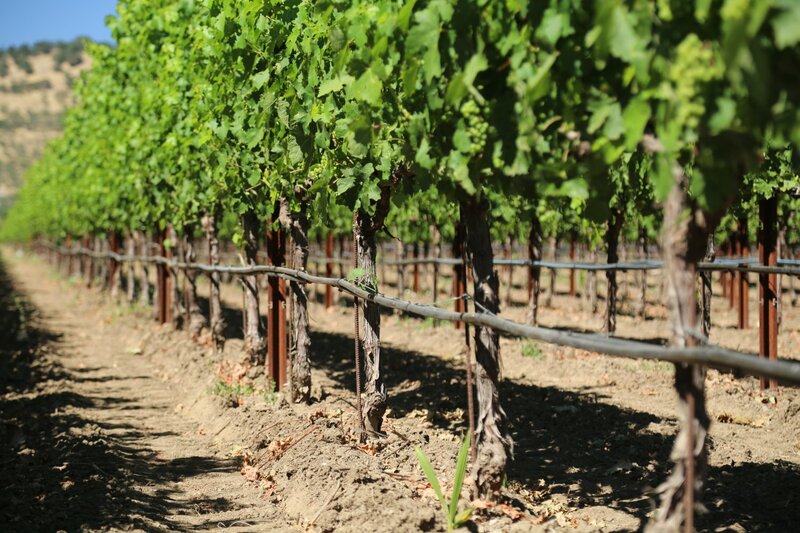 A tasting may include an extremely rare varietal in the Napa Valley, Nebbiolo (an Italian varietal). Their annual production is usually just 50 cases of this wine. 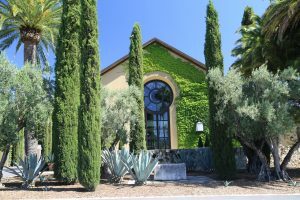 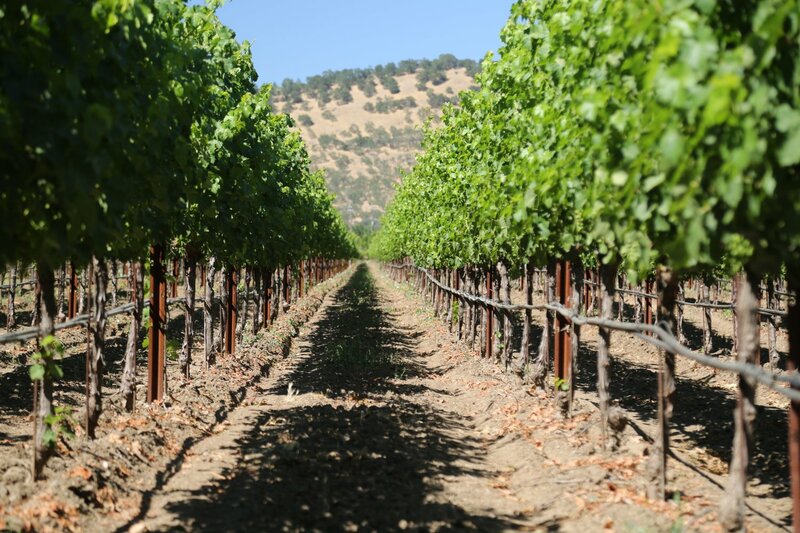 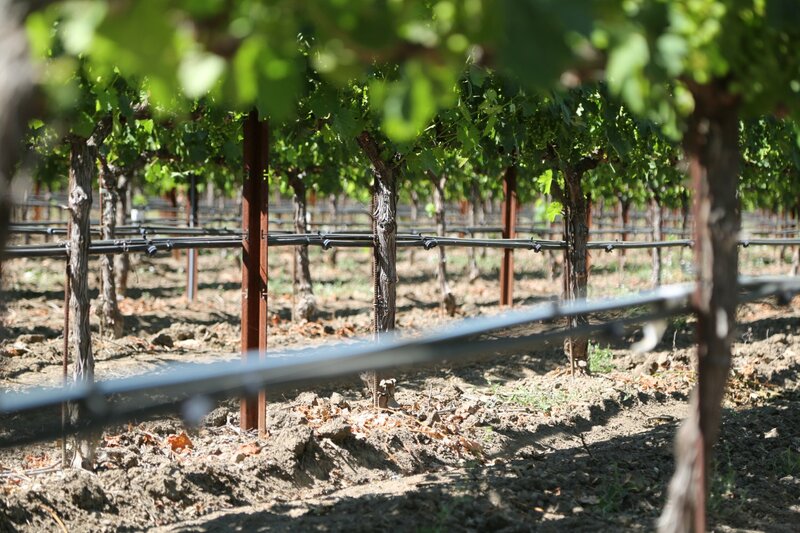 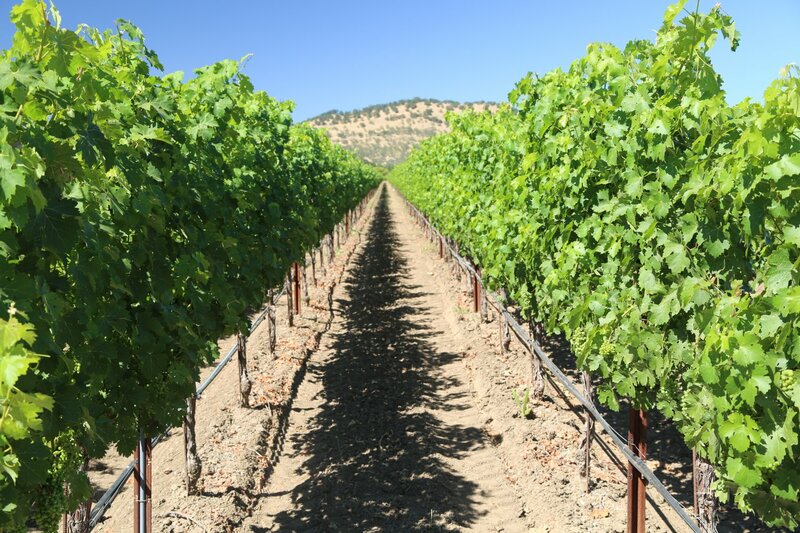 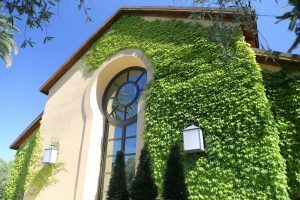 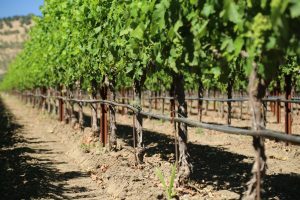 Out of nearly 1000 Napa wineries and producers personally visited and tasted with to date, this is one of just several Napa wineries producing wine from this varietal. 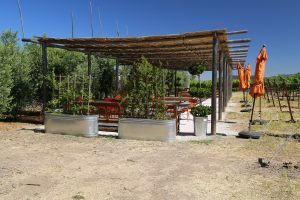 Their Nebbiolo is a delicious wine with nice cherry notes both in aroma and flavor. 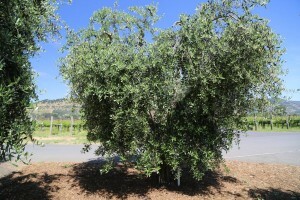 Because this wine can be somewhat tannic during its youth, Round Pond ages it for three years in oak. 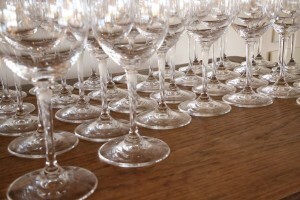 This is an ideal food wine as it has just the right amount of acidity, fruit and tannins. 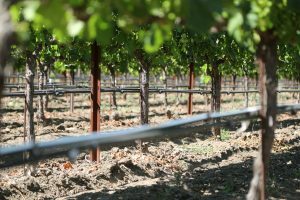 You will try several other wines including their Cabernet Sauvignon which is typically offered as several vintages in a vertical tasting. The 2005 Cabernet Sauvignon while still young at the time of our tasting showed great fruit, acidity and structure. This is the heart of Rutherford, long known for a component in the wines referred to as the “Rutherford Dust”, and this wine displays a pleasing earthiness on the bouquet. 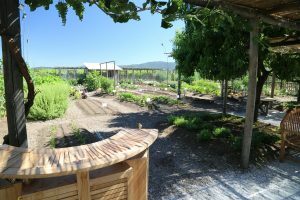 In the summer of 2009 Round Pond introduced a “Sensory Garden”. 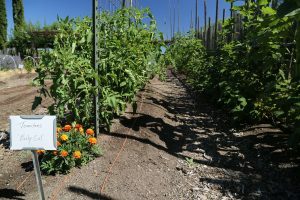 This sizable garden is located directly behind the crush pad. 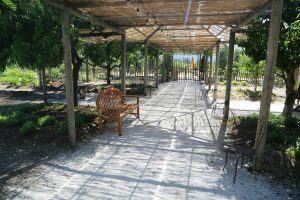 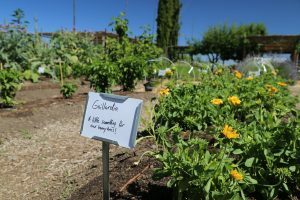 It is open to guests and features numerous seasonal offerings ranging from summer squash and tomatoes to the unique sensory part of the garden planted with herbs and fruits that mimic some of the flavors and aromas often found in Cabernet Sauvignon and Sauvignon Blanc as well as items that pair well with these particular varietals. Guests can also observe a number of Biodynamically farmed practices in action. 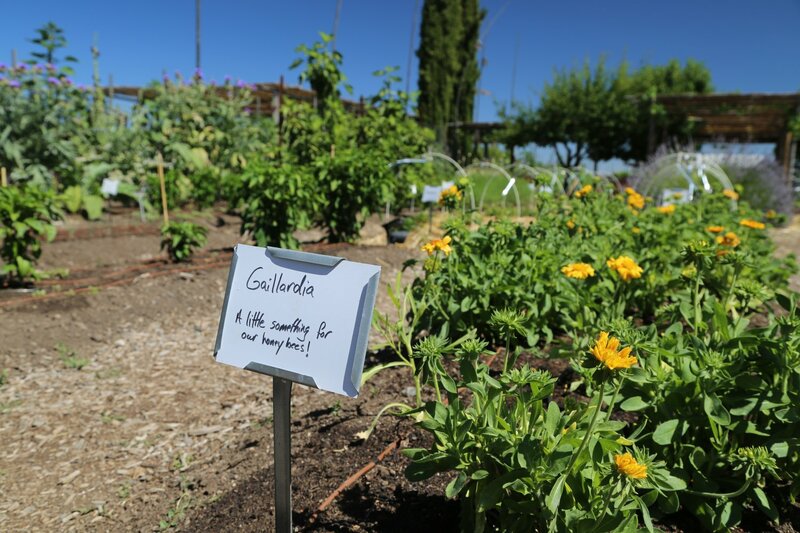 In addition, this garden supplies select produce for pairings with their wines. 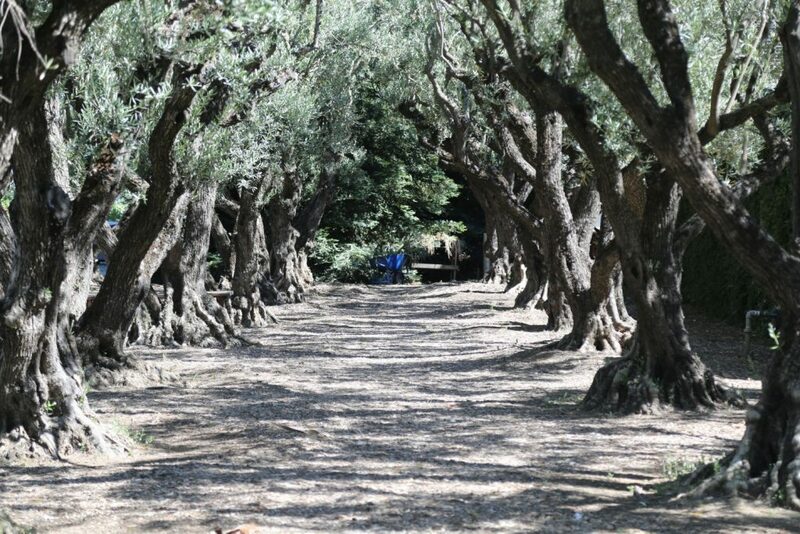 Guests can also book a separate tour at their Estate Olive Mill (founded in 2003), an olive oil production facility located on the other side of Rutherford Cross Road (a 2-3 minute drive from the winery). Or if you are tight on time you can show up without needing an appointment to do a quicker olive oil tasting. 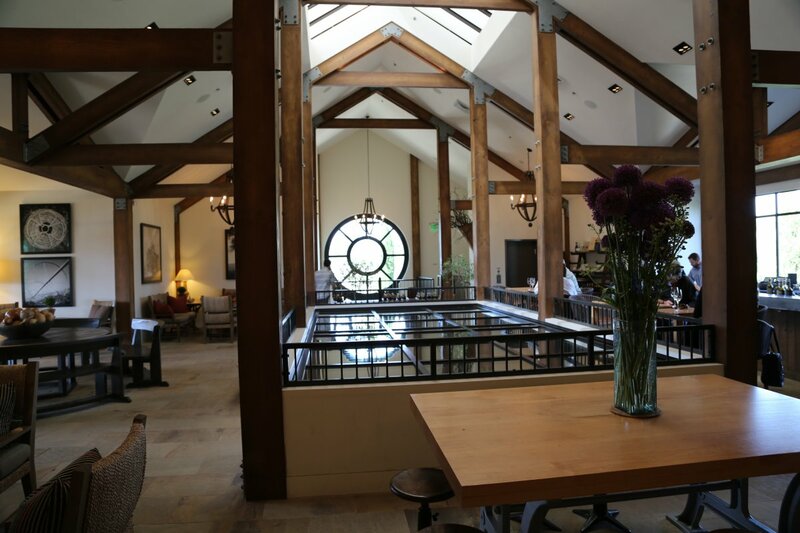 Along with Long Meadow Ranch this mill is only one of two operated by Napa wineries and of the two, this is by far the most accessible. 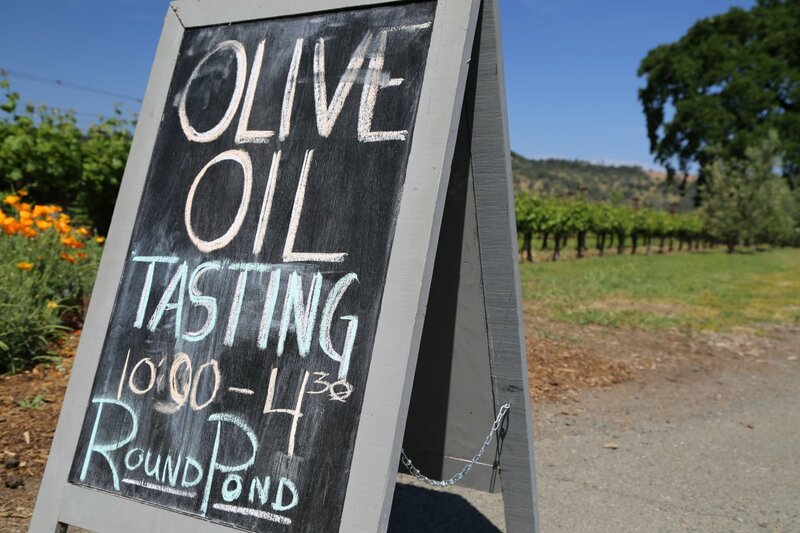 No other producers make olive oil here – all production is for Round Pond’s use only. 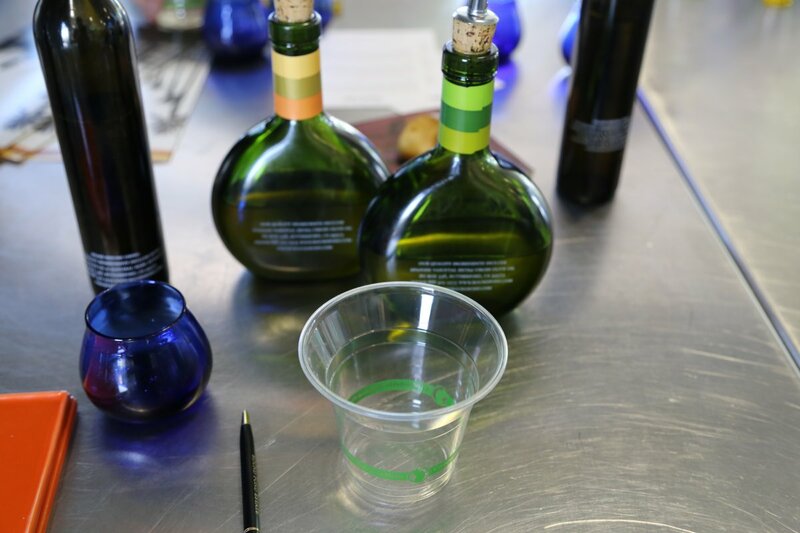 A sit down tasting includes samples of several olive oils, vinegar and syrups as well as a tour of their small production facility. 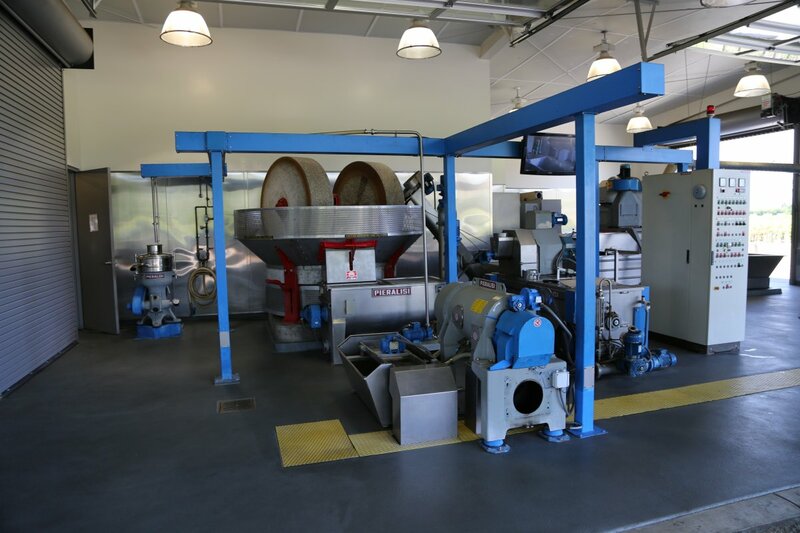 If you’ve seen typical winery production equipment you will immediately recognize that the production equipment here is a bit different. Their vinegar is initially made as still wine then a culture is added to the wine to convert the alcohol into vinegar and once vinegar, it is aged in oak for up to 10 months before being released. 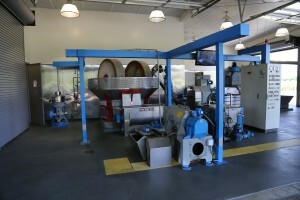 Olive oils on the other hand see a much faster to “product” time than either wine or vinegar – as in about 3.5 hours from harvest to production to bottling. 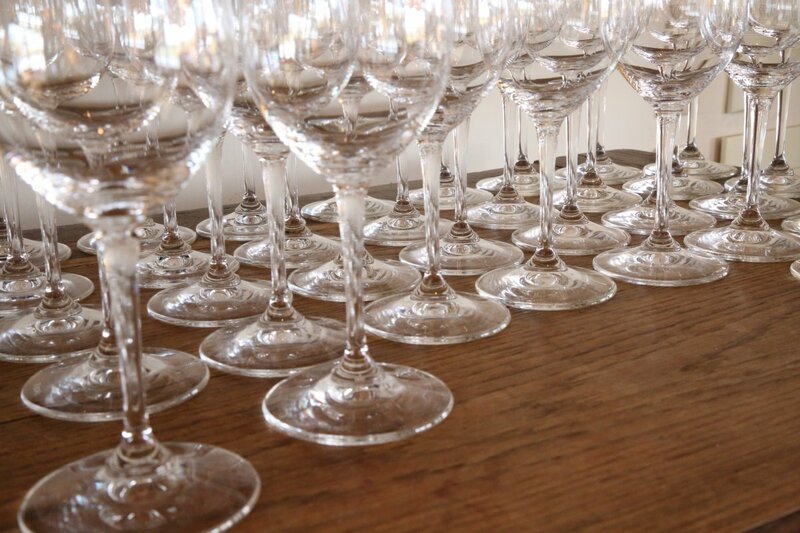 There is no aging needed. 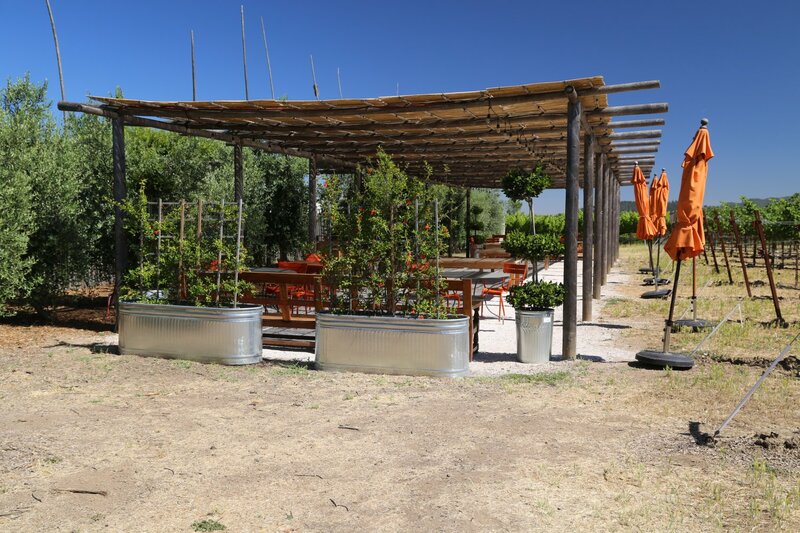 Both Spanish and Italian olive trees are grown on the property (some 2,800 trees over 12 acres) and a couple of interesting olive oils are those infused with Meyer Lemons and Blood oranges. 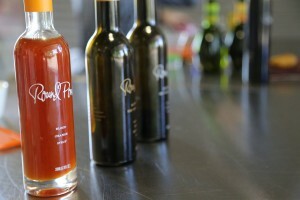 Also select syrups available for purchase. During select summer months they offer drop in hours 11-4pm, the so called “Splash and Dash” where appointments are not needed. 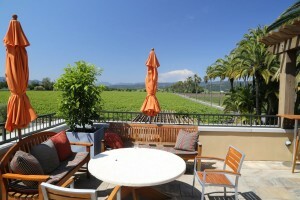 This is a great way to end a day and take a break from what has probably been a full day of wine tasting.